The optimal tool for a measurable and effective link building strategy. 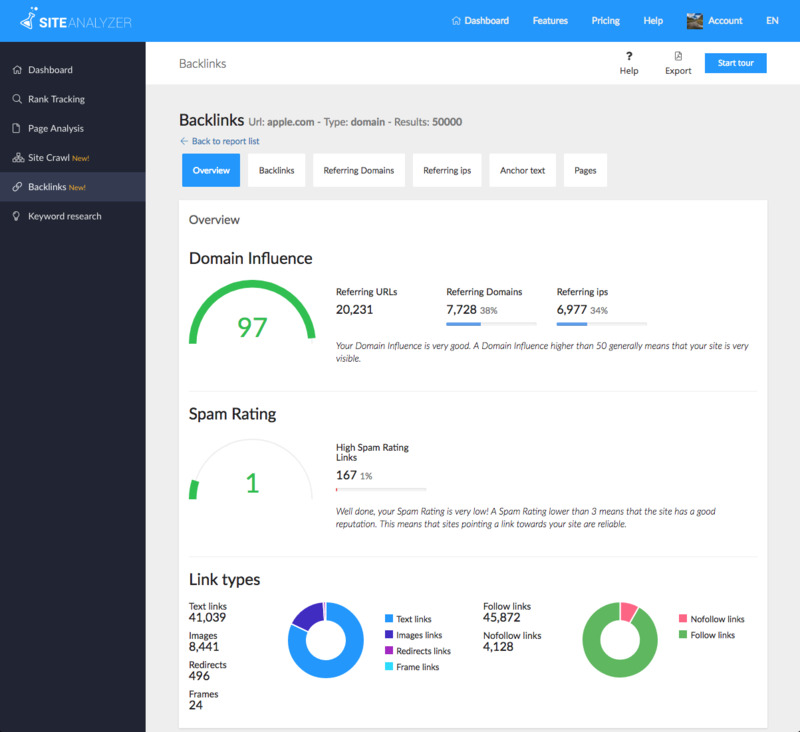 Analyze a complete backlinks profile. Get a list of external links pointing towards any domain, sub-domain or URL and discover the netlinking strategy of all your competitors. Compare the reputation of domains or pages, and find which links add the most value and those that lose value. SEO expertise in just a few clicks. The Domain Influence (DI) allows you to value and compare the global visibility of one or several domains. The Page Influence (PI) evaluates the visibility of a page. The Spam Rating (SR) evaluates the visibility of a page. Thanks to these indicators, you can easily identify the links with a good reputation and remove the links that harm the authority of a domain. Increase your chances of being at the top of Google search results by increasing visibility. A Backlink checker adapted to your strategy. 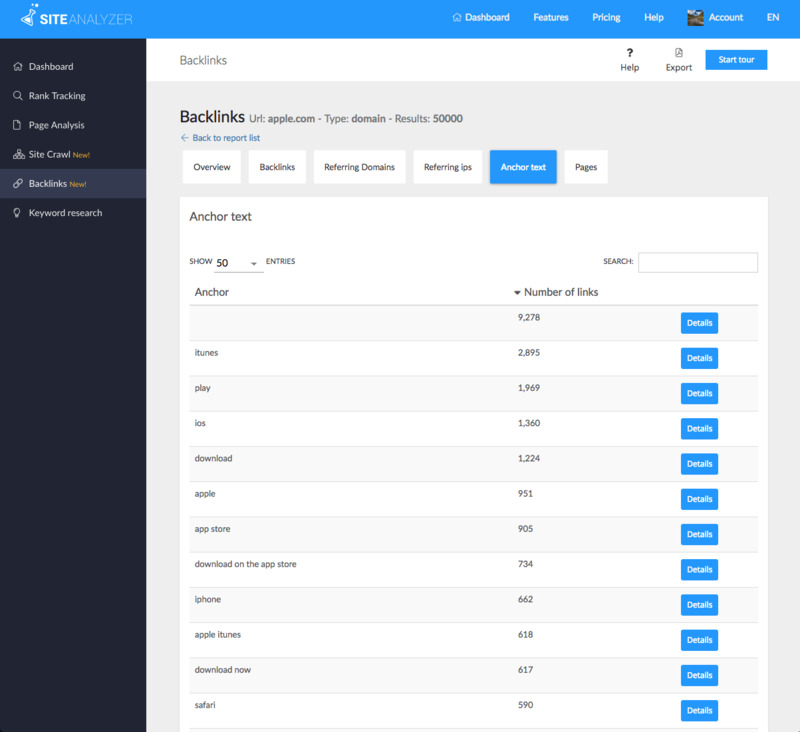 Discover new link opportunities easily and analyze the backlinks profile of any website, especially those of your competitors. Find the sites with the highest authority that create backlinks towards your competitors and stick to the ones that will get you known. Create new relationships, increase visibility and website traffic to dominate the competition.